Dr Thancoupie Gloria Fletcher James AO. Ian Brusasco AO is a business and sports leader with extensive experience as chairman and director across a range of industries. Ian has sat on many boards such as WorkCover Queensland, Gladstone Port Corporation, Foodbank, Port of Brisbane Corporation, Brisbane Strikers, 4TAB and 4KQ. 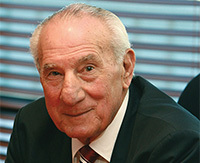 Ian also served as an alderman at the Brisbane City Council for 14 years. Through these positions, Ian has contributed significantly to the development of Queensland. Pearl Duncan is an education crusader who has dedicated her life to helping increase Aboriginal participation in education. Her outstanding contribution to education, Indigenous issues and academic research over a period of 55 years is unparalleled. 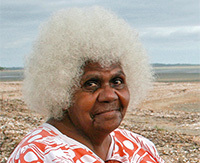 Pearl has made acclaimed contributions to research in Aboriginal and Torres Strait Islander studies and represented her community at the highest government levels. 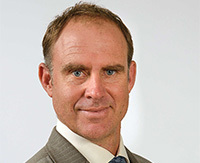 Matthew Hayden AM is considered one of the greatest cricket players of all time. Matthew has shown persistence, determination and dedication throughout his Australian cricket career, as well as off the field. He has not only made a name for himself as a champion of the sport nationally and internationally, he has also shown remarkable community spirit through his very public fundraising efforts for the National Breast Cancer Foundation and his visits to children’s hospitals. Professor Ross Homel AO is the Foundation Professor of Criminology and Criminal Justice at Griffith University in Brisbane and Director of the Griffith Institute for Social and Behavioural Research. 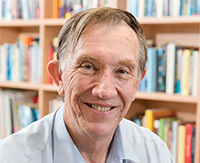 His research and community leadership have made a significant contribution to Queensland’s reputation for research excellence, the development of social policy and justice reform, and the lives of families in Queensland’s disadvantaged communities. Photo credit: Jennifer Isaacs AM. 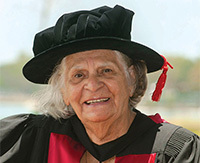 The late Dr Thancoupie Gloria Fletcher James AO played a vital role in promoting and enhancing the image of Aboriginal culture through art and education. Thancoupie exhibited her ceramic artworks nationally and abroad, receiving great praise. She established educational facilities and programs for children and is remembered as an inspiration for Indigenous people. 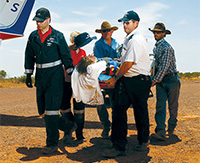 RFDS of Australia is dedicated to providing vital health care to anyone travelling, working or living in Australia. Established in 1928 in Cloncurry by the Reverend John Flynn, the RFDS provides care for more than 270,000 Australians each year. In Queensland, the RFDS’s emergency retrieval service operates 24 hours a day, 7 days a week and has expanded to provide regular transfers of patients to interstate hospitals for lifesaving surgery. A broad range of essential health care services are also delivered to rural and remote communities including Indigenous health, child and family health, and women’s health services.